my first adventure in vegan baking! so i believe i've mentioned that we celebrate birthdays at my workplace with cupcakes and takeout lunches. not terribly original but super fun! well one of our summer employees, back from college and fairly recently vegan, just celebrated her birthday. i was very excited and just a bit intimidated to try baking my first batch of vegan cupcakes! i turned to chef chloe for a recipe because i watched her on cupcake wars (i bet you're not surprised i watch cupcake wars). 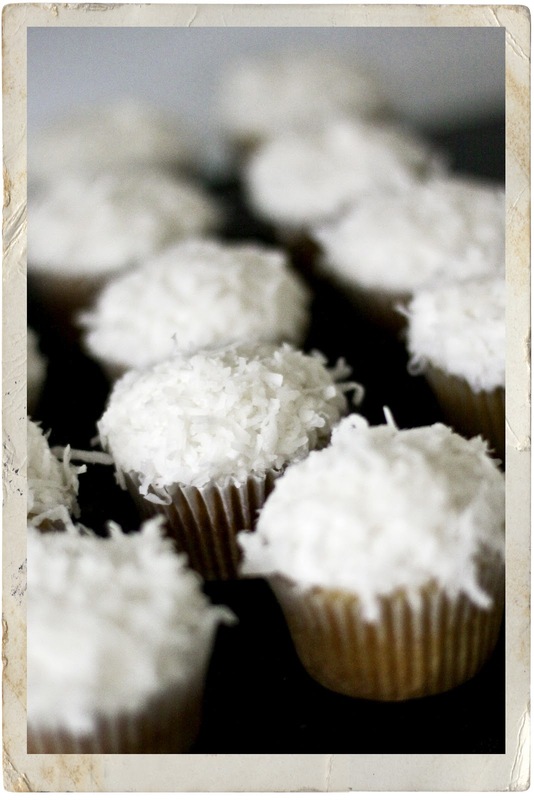 her recipe for fluffy coconut cupcakes were a HUGE hit, moist and very fluffy. the birthday girl was pleased but so were all the non-vegans. i highly recommend them for all your vegans & non-vegans celebrating birthdays, graduations, baby showers or wednesdays for that matter. 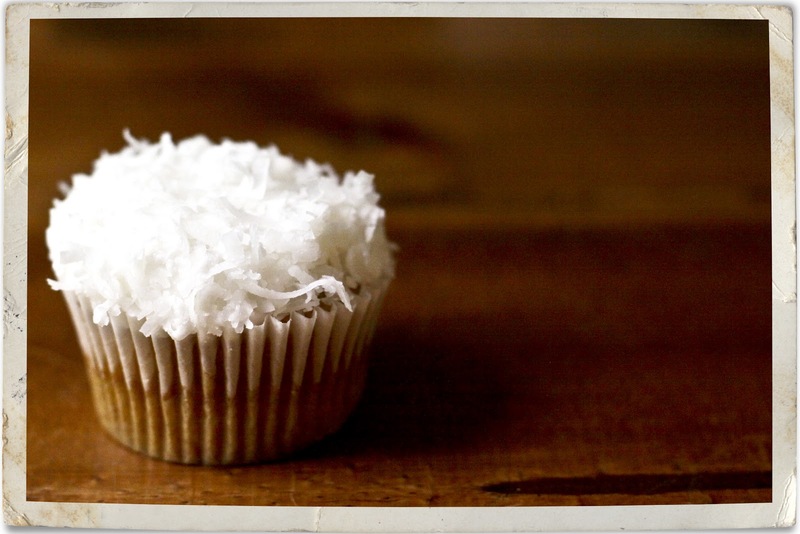 coconut cupcakes are really good for anything!